The Birdhouse — Grace Café, Inc. The Birdhouse has been a part of Grace Café since the very beginning. Modeled after ComeUnity Cafe in Jackson, TN, the Birdhouse is an anonymous donation system that allows patrons to pay-what-they-can for their meal or pay-it-forward for others. Built by Nick Lacy and painted by Judith Bayless, the Birdhouse is a colorful and memorable addition to the Café. Last summer, the Birdhouse celebrated its third birthday! 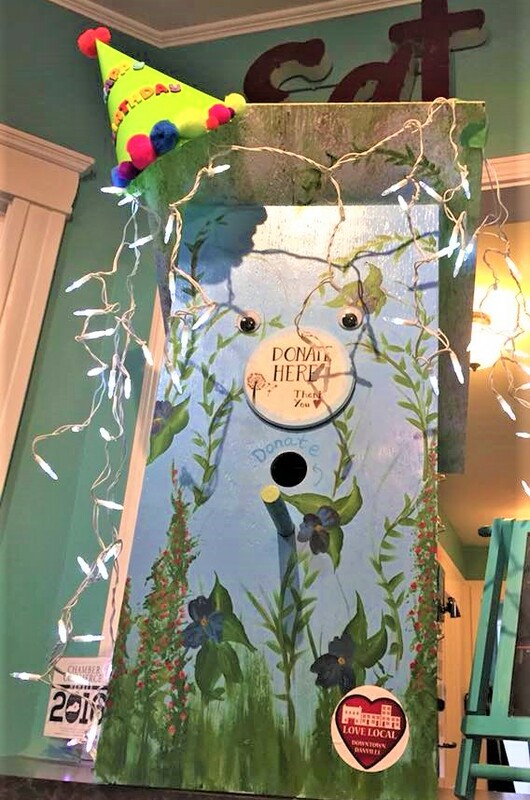 You can see our beloved Birdhouse, featured above, wearing its birthday hat and festive lights. This year, however, the Birdhouse is leaving the nest. Traveling around the city of Danville, its mission is to spread the word about hunger, poverty, and how to build a compassionate and inclusive community around food. Think of the Birdhouse as Grace Café’s mascot, if you will, our hero and champion of food justice and security. On its surface, it’s a house for the birds, but it’s just as much a symbol of home for anyone who needs it—an invitation into Grace Café’s community. Come, sit, have a meal with us. 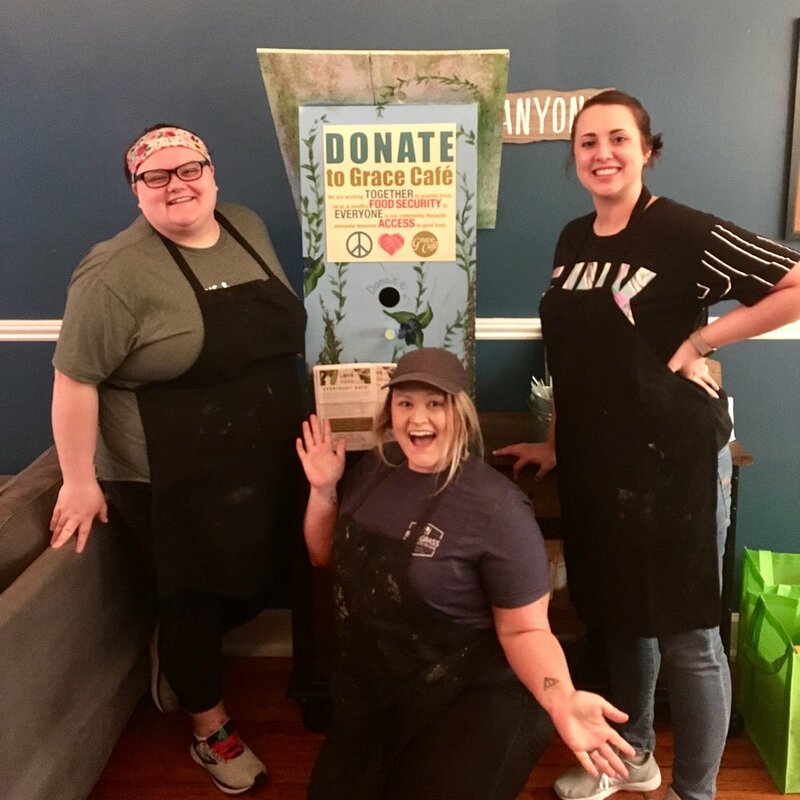 The Birdhouse will carry information about Grace Café and food insecurity in Danville. Additionally, it will be accepting donations on behalf of the Café. You can find the Birdhouse at Danville’s local establishments and follow the Birdhouse on Facebook and Twitter! @Birdhouse2019. If you have questions, fan letters, or would like to host the Birdhouse, please email margaux.crider@gracecafeky.org. The Birdhouse at Bluegrass & Buttercream (left) and Community Trust Bank (right).